It’s been quite a lot since I last posted on this blog and I apologize with my readers, both of them :-). 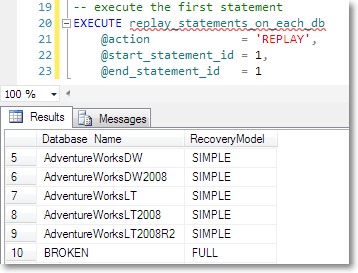 Today I would like to share with you a handy script I coded recently during a SQL Server health check. 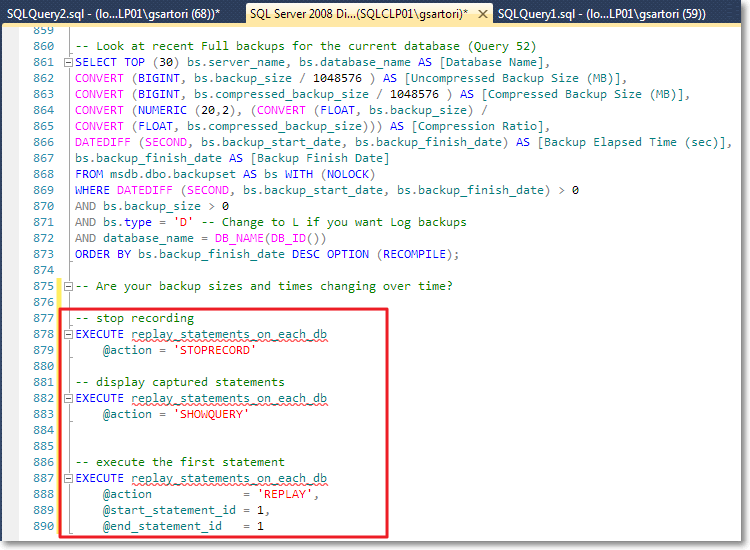 One of the tools I find immensely valuable for conducting a SQL Server assessment is Glenn Berry’s SQL Server Diagnostic Information Queries. The script contains several queries that can help you collect and analyze a whole lot of information about a SQL Server instance and I use it quite a lot. The script comes with a blank results spreadsheet, that can be used to save the information gathered by the individual queries. Basically, the spreadsheet is organized in tabs, one for each query and has no preformatted column names, so that you can run the query, select the whole results grid, copy with headers and paste everything to the appropriate tab. 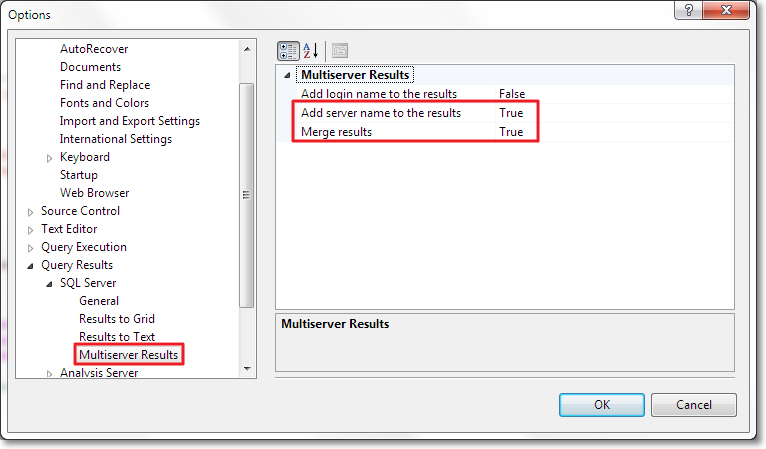 When working with multiple instances, SSMS can help automating this task with multiserver queries. Depending on your SSMS settings, the results of a multiserver query can be merged into a single grid, with an additional column holding the server name. This feature is very handy, because it lets you run a statement against multiple servers without changing the statement itself. This works very well for the queries in the first part of Glenn Berry’s script, which is dedicated to instance-level checks. The second part of the script is database-specific and you have to repeat the run+copy+paste process for each database in your instance. It would be great if there was a feature in SSMS that allowed you to obtain the same results as the multiserver queries, scaled down to the database level. Unfortunately, SSMS has no such feature and the only possible solution is to code it yourself… or borrow my script! Before rushing to the code, let’s describe briefly the idea behind and the challenges involved. 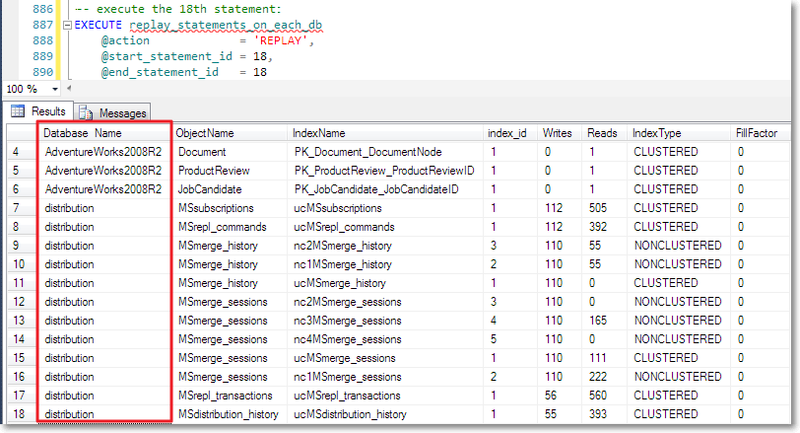 The ideal tool for this task should simply take a statement and run it against all [user] databases without modifying the statement at all, merge the results in a single result set and add an additional column to hold the database name. Apparently, sp_MSForEachDB, besides being undocumented and potentially nasty, is not the right tool for the job. That said, the only option left is to capture the statement from its query window, combining a trace, a loopback linked server and various other tricks. 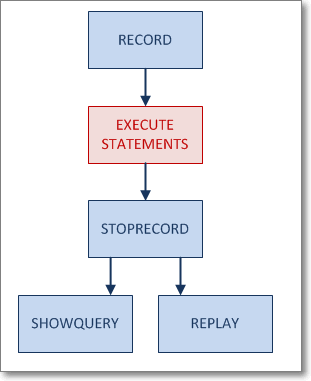 First of all you start recording, then you execute the statements to repeat on each database, then you stop recording. From that moment on, you can enumerate the statements captured and execute them, passing a specific statement id or a range of ids. Obviuosly this approach is totally overkill for just selecting the database recovery model, but it can become very handy when the statement’s complexity raises. 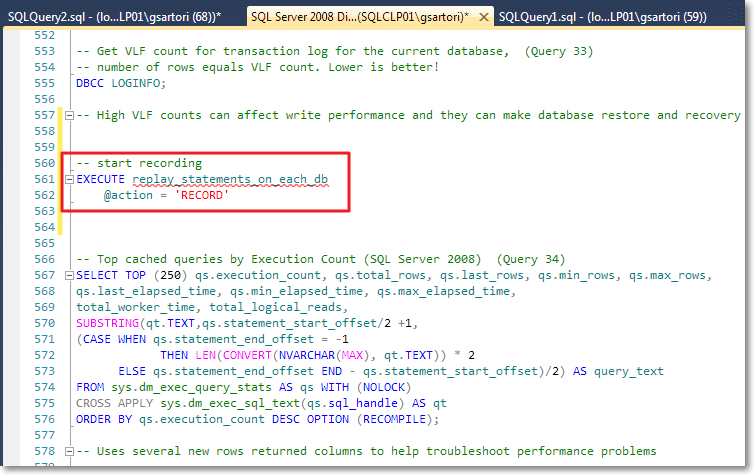 At the end of the script you can add the instructions to stop recording and show the queries captured by the procedure. Once the statements are recorded, you can run any of the statements against all databases. For instance, I decided to run the top active writes index query (query 51). As expected, the procedure adds the database name column to the result set and then displays the merged results. You may have noticed that I skipped the first statement in the database-specific section of the script, which is a DBCC command. Unfortunately, not all kind of statement can be captured with this procedure, because some limitations apply. Besides the inability to capture some DBCC commands, please note that the column names must be explicitly set. I think that a CLR procedure could overcome these limitations, or at least some of them. I hope I will find the time to try the CLR method soon and I promise I will blog the results. Posted on June 27, 2012, in SQL Server, T-SQL and tagged batch, Replay, sp_MSForEachDb, T-SQL, Trace. Bookmark the permalink. 4 Comments. Great post! I’ll give it a try for sure. Thanks! Let me know if you find some quirks (I’m sure there are some). Brilliant work my friend … Thanks for sharing!